Except that the rails are at the top, which means the riders will prioritize features that allow them to keep speed for the jumps. Especially since it seems like jump tricks are prioritized over rail tricks in the judging. a_pla5tic_bag Except that the rails are at the top, which means the riders will prioritize features that allow them to keep speed for the jumps. Especially since it seems like jump tricks are prioritized over rail tricks in the judging. I think there is some serious potential for creativity, hopefully some people send some wacky lines! 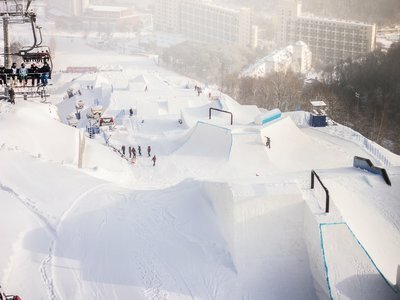 can anyone remember if anyone used the ladies' tee on the last jump at sochi? Look at feature 4 though. Low speed mini setup jump. You could get super weird in the skatebowl, pick your speed back up over 4, and still send something big on 5. I’m super excited to see how this actually turns out. Does anyone have a link to the event held last year on this course design? 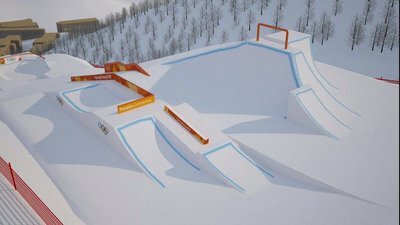 I think there was an Olympic test event held with the same feature layout, and I'm looking for a video of the contest. Anyone got me with a link or someone can upload it? casual Does anyone have a link to the event held last year on this course design? 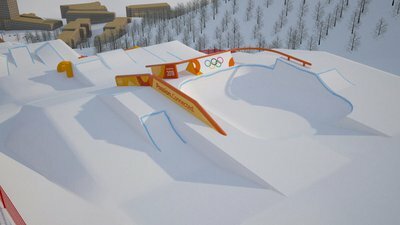 I think there was an Olympic test event held with the same feature layout, and I'm looking for a video of the contest.